Radlink has been at the forefront of TETRA in Australia and designed WA’s first TETRA digital radio system and the first multi-site system. We’ve also built three, four and five-site TETRA systems for mines in the Pilbara. One of our more complex projects was installing 24 TETRA locations along a 200 km rail corridor. 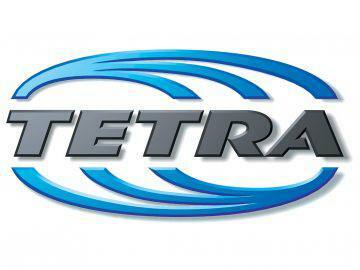 Radlink have completed most of the major TETRA installs in Australia. TETRA – that’s Terrestrial Trunked Radio – is the accepted digital radio standard for critical communications. An open standard for where the focus is on meeting critical communications needs across all sectors.The technology has been standardised by the European Telecommunications Standards Institute (ETSI) . It was originally conceived and developed for use by the European Union government and public safety agencies. It’s now been adopted as the de facto standard in all countries apart from North America. TETRA two-way radio provides a high-end solution for small private systems up to large public networks, while preserving the characteristics and advantages of private land mobile radio systems, such as fast call set-up, group calls, and direct mode communication. It is efficient in spectrum usage and its digital technology provides clear, low-noise voice while allowing multiple talk-groups to operate vast numbers of radios on just a few frequency channels. Because it’s a global open standard, TETRA allows (interoperability) different brands of subscribers to operate on the one network. Moving data over radio is what we are professionals at doing. TETRA two-way radio handsets are easy to operate, even when being used for complex services such as despatch controlling and emergency response. In an emergency, the system’s GPS tracking and individual identification provide vital information for a speedy and successful rescue. The system’s ability to carry data over the radio network significantly adds to the productivity, efficiency, safety and responsiveness of a team of employees who work some distance from the nearest corporate LAN connection point. TETRA is often the best choice for medium to high-capacity trunked networks with high traffic volume and low coverage areas, such as large industrial complexes, large campuses, airports, mine sites, oil platforms and similar locations.